fastest growing non-medical homecare franchises in North America! Recognized by Entrepreneur magazine as one of the Top 500 Franchises! The need for non-medical, in-home care is growing at an unprecedented rate and Synergy HomeCare is at the forefront of this exciting business opportunity. There are now over 34 million people in the U.S. over age 65 - approximately 12% of the population. In 25 years, this age group will grow to over 70 million. With our established franchise concept, you can help the right individuals provide valuable non-medical homecare services - services that directly impact the quality of life of our clients and their families. 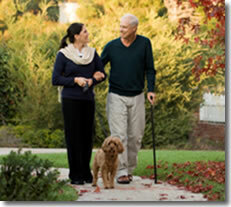 Prior medical or home care experience is not required of franchisees. Frequently, Synergy HomeCare business owners come from DIFFERENT INDUSTRIES. Management and personnel development skills are however essential. "As soon as Synergy HomeCare came our way we were immediately smitten. 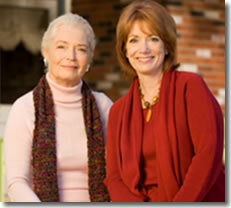 Synergy HomeCare maximizes the potential for all involved: caregivers, clients and franchise owners. The company has an impeccable support system...and the proven growth potential is limitless. We are at the tip of a growing need and are thrilled to be a part of the Synergy HomeCare family!" Our training program ensures that each franchisee has the knowledge and tools needed to start and grow their own Synergy HomeCare franchise. As you will see, our non-medical franchisee training is the most comprehensive in the industry. Synergy HomeCare is dedicated to ensuring that our franchisees are being supported by people with direct, successful experience in this industry. You will be assigned to a start-up coach who will be able to provide you with guidance for all of your pre-opening activities including assisting you with your state licensing process where applicable. Our dedicated marketing team will provide you with the tools you need to make sure you're having impactful meetings with the decision makers in your community. Core customer research is very important to us, which is why Synergy HomeCare has invested hundreds of thousands of dollars to help identify what our clients want and expect when they start services with Synergy HomeCare. How we market our brand at the client level is a big part of what makes us different. "It was a humbling experience for me. I thought I had a better understanding of marketing and I did not! It was extremely helpful that John scaled back and prioritized our referral sources, as well as giving us tips on effective cold calling techniques and quantifying sales calls. John made the experience fun and his industry experience was really helpful." Exceptional software is essential to running a successful franchise. We have integrated a web-based scheduling software solution that gives you the power to start up and run your franchise effectively and efficiently. We also have software that enables our franchisees to effectively and efficiently manage all of their marketing efforts. Our client focused website is incredibly innovative and is driving new client leads as well as potential caregiver applications right to each franchisee. In addition to our corporate website, Synergy HomeCare offers all franchisees access to our Intranet site filled with resources to help in everyday business operations. Synergy HomeCare offers two distinct Franchise opportunities: our Regional Developer Franchise program and our Single/Multi Unit Franchise program. The Regional Developer Franchise program offers the experienced business person the chance to own, develop and manage an exclusive Synergy HomeCare region. The Single/Multi Unit Franchise program provides an opportunity for individuals who want to become their own boss, help others, and use their entrepreneurial zest to skyrocket their business to the highest of levels.